I am a big fun of a partially submerged tour! Particularly those duck related ones where they ask everyone to quack. Everyone needs a good quack every now and then! 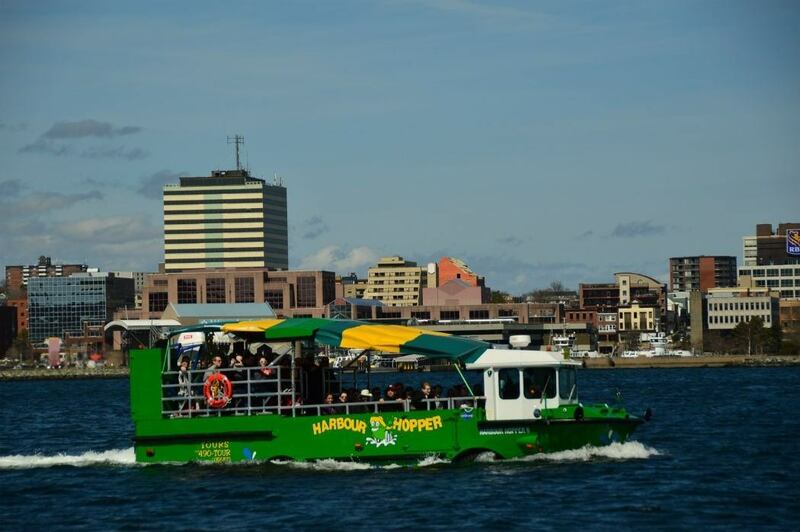 The amphibious tour in Halifax Nova Scotia is called the Harbour Hopper and is Atlantic Canada’s number one tour. It is well worth doing and good value for money. Here’s how it all works. 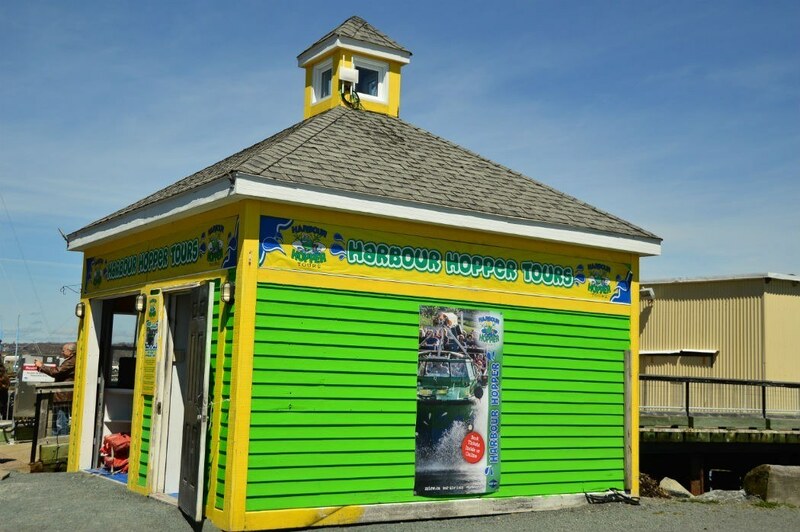 The place to buy tickets (or pick them up) is the brightly coloured Harbour Hopper office on the Halifax Harbour. 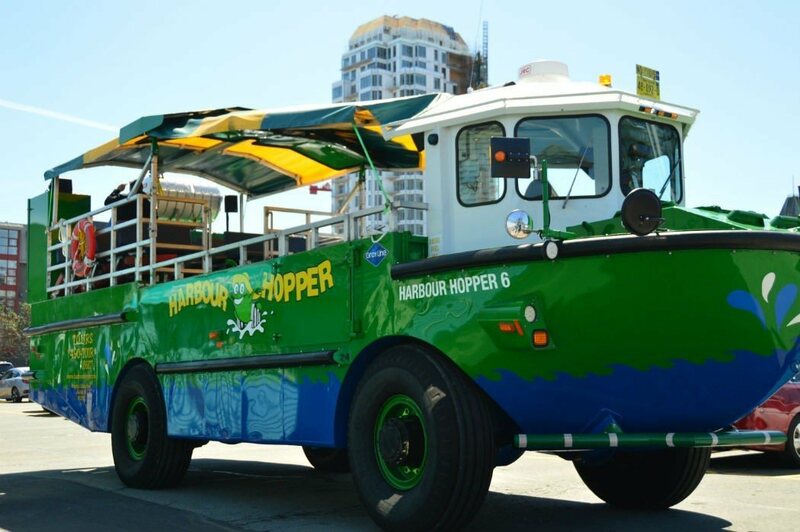 The Harbour Hopper departs and finishes just behind the Amos Pewter store in the carpark. 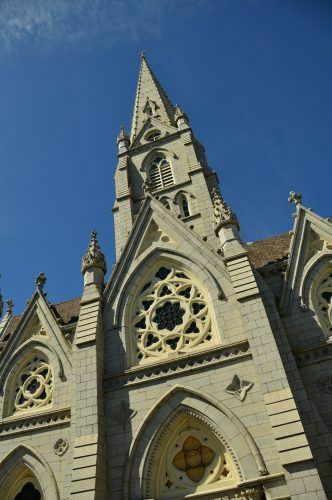 This is a popular tour so you are best to book it ahead of your visit. Do bring an extra layer of clothing as it can get cool on the water. The tour runs from late May to the end of October. Depending on the time of year there can be anywhere from 6 to 20+ cruises per day. The most cruises are during the peak season of June-August and on the weekends. The tour lasts for 55 minutes. The tour starts on firm ground in the car park behind the waterfront office. 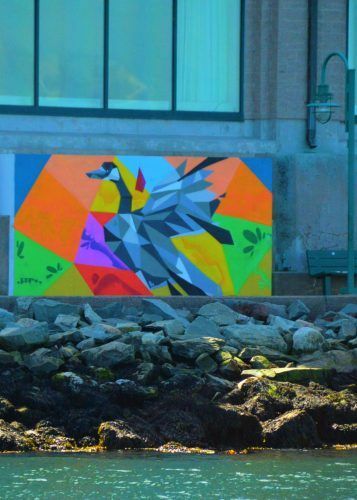 It covers the streets of Halifax before it heads into the harbour. The route covers the Citadel Hill National National Historic Site (I have no idea how it actually managed to make it up and down this tight hill! 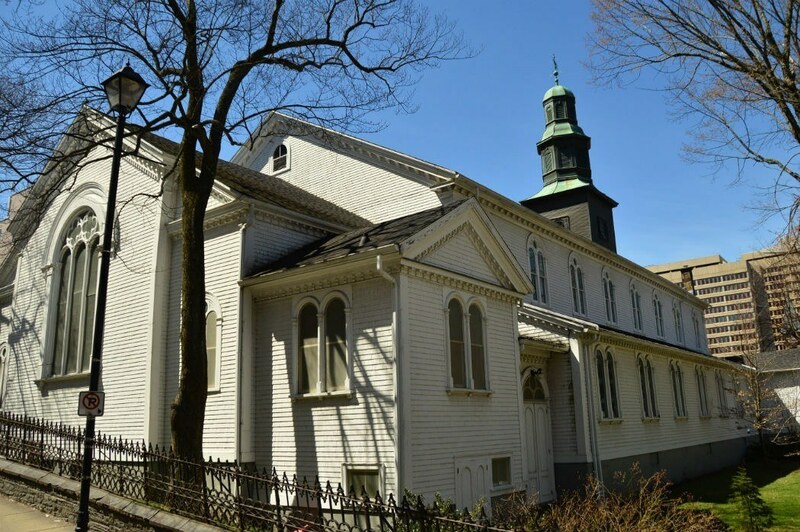 ), the Victorian Public Gardens, St Pauls Church and Halifax’s main drag Spring Garden Road. 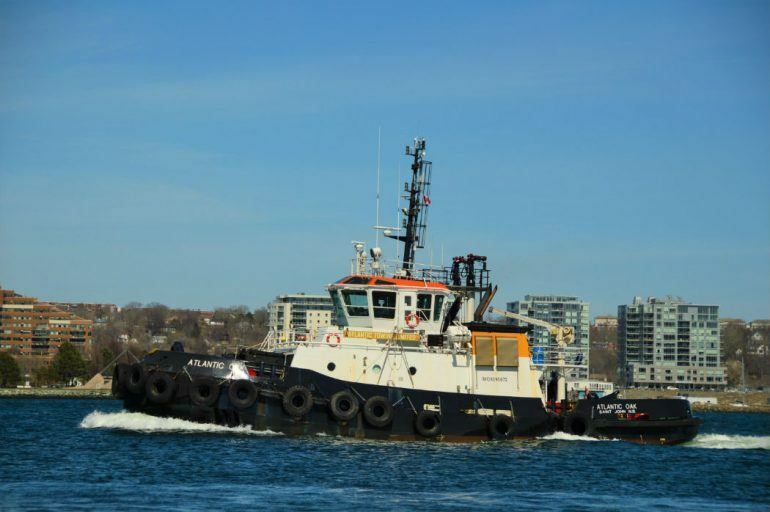 It then heads downtown and into Halifax Harbour. The boat heads past George’s Island Lighthouse, the Halifax Harbour Boardwalk, the stone buildings of Historic Properties and much more. One of the highlights (although that is probably not the right word) of the tour for me was learning about the 1912 explosion in Halifax Harbour. This is still the biggest non-nuclear man-made explosion in history. I had never heard of it prior to visiting Halifax. It occurred in December of 1917. A Norweigan vessel collided with a French ship in the harbour and the cargo of the French ship was ignited. Unfortunately, the explosion happened after impact. Many residents had made their way to the harbour after hearing the noise of the collision. More than 2000 people were killed in the explosion. Many more suffered from terrible injuries – particularly to their eyes as people were watching the port when the explosion happened. A terrible tragedy. The guide will also take you through the history of the harbour and its role in World War 2. The tour then heads into the water. You will head along the waterfront (well not quite along as you’ll be in the middle of the harbour but you get what I mean). 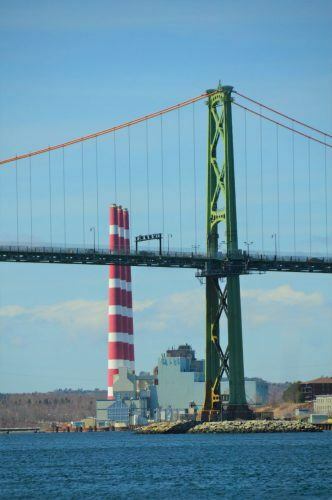 This is where you are likely to get your best photos – particularly of the stunning Macdonald Bridge that leads into Halifax. 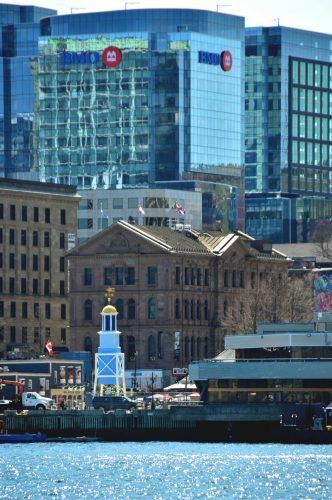 This is also the best angle for photos of the historic buildings along the waterfront. The tour will take you past the key sites including the Maritime Museum (which I highly recommend). 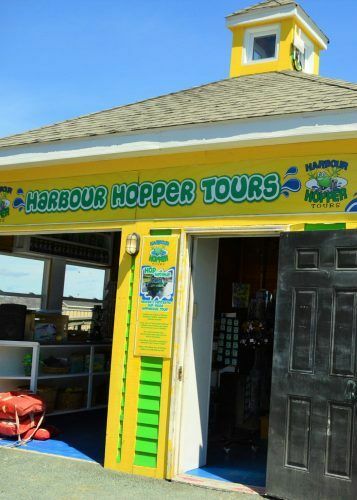 The Harbour Hopper leaves the harbour the same way it came in and then returns to the car park where you began the tour. Our guide was brilliant. He was very knowledgeable which you would expect but also rather amusing which is always appreciated! There are loads of great things to do around Halifax. 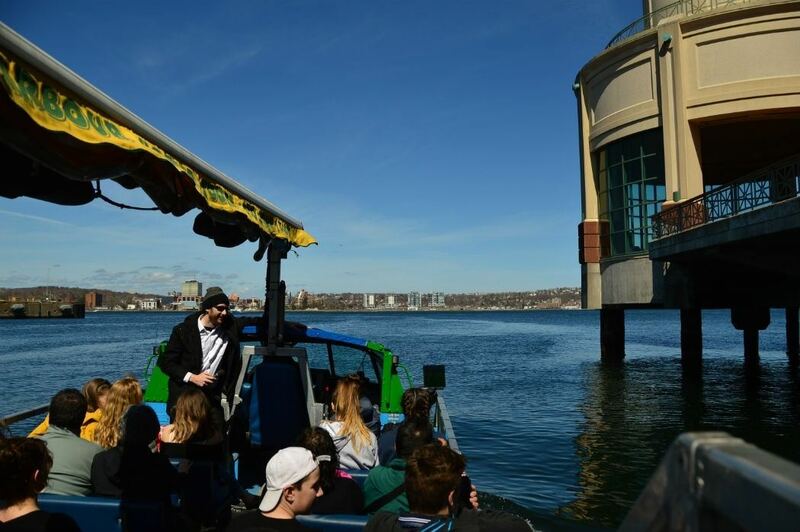 Why not take a Segway Tour of the Harbour? The Annapolis Valley is absolutely stunning and can be visited as a day tour from Halifax. And don’t miss seeing Canada’s iconic Peggy’s Cove and lighthouse. 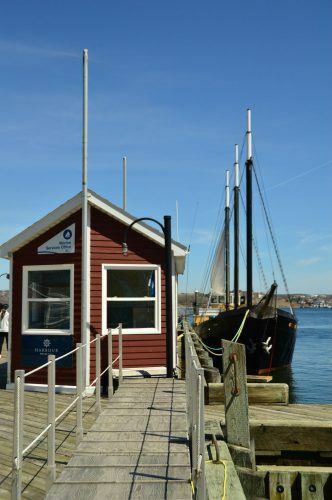 Lunenburg is a must not miss and you can combine it with lovely Mahone Bay in one day trip from Halifax. 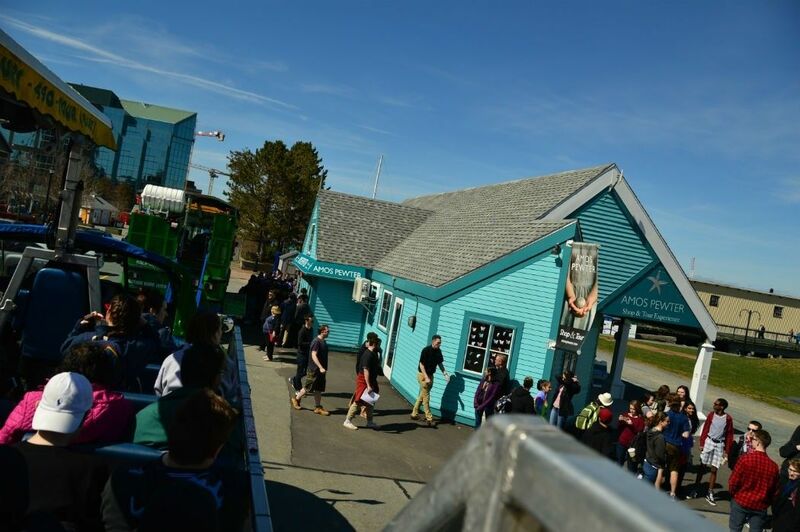 Read more about it in my post Top 16 Things to do in Lunenburg and around Lunenburg. 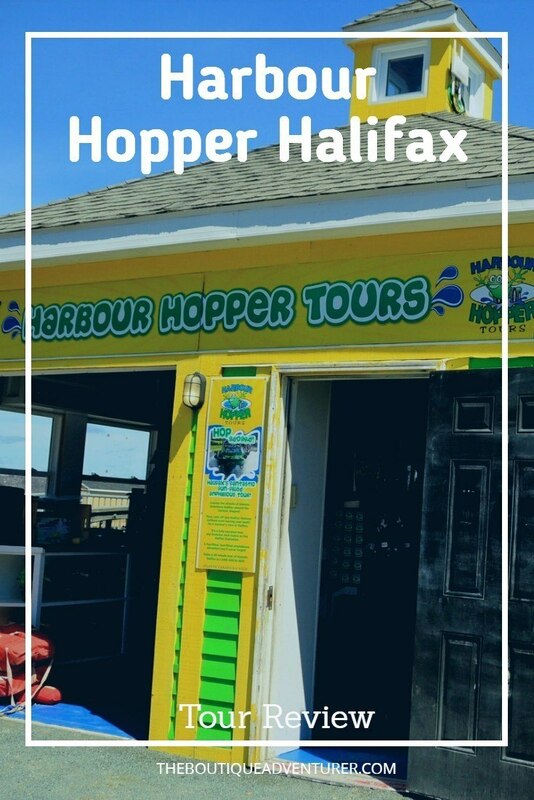 The pickup and drop off points for the Harbour Hopper Tour are virtually half way along the Halifax waterfront. 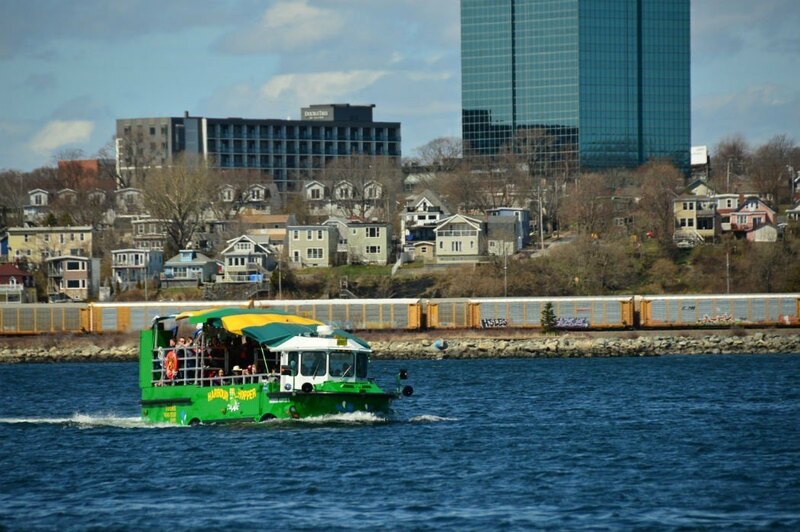 This means you are extremely close to some of the best activities to do in Halifax. I enjoyed a fantastic lunch at the Bicycle Thief restaurant after my tour. 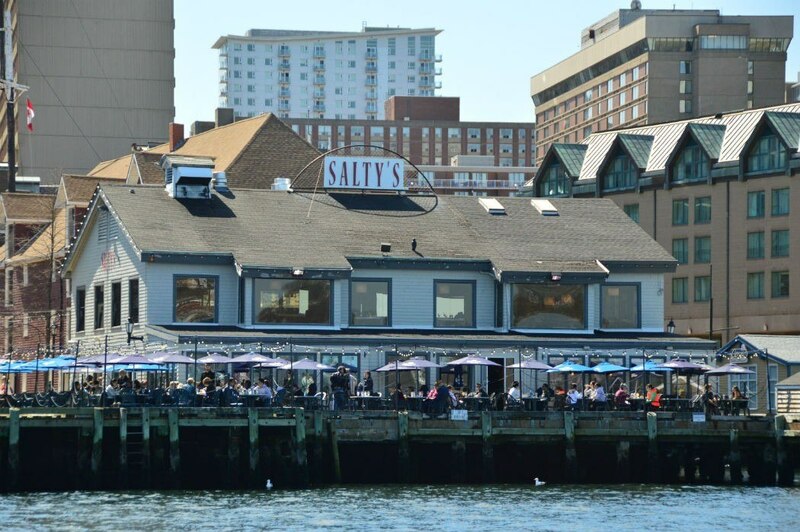 It is located on the waterfront. They, of course, specialize in seafood. I had an amazing seafood pasta. 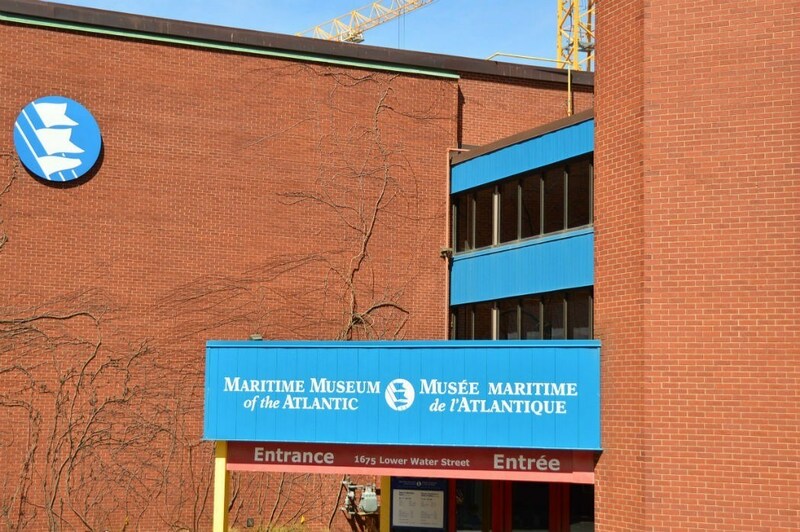 The Maritime Museum of Halifax is also only a short walk. This museum is full of fascinating remanents from the Titanic including an actual deck chair. I certainly didn’t know until I visited Halifax that it was the biggest port close to where the Titanic sank. The bodies of those who didn’t survive were brought to Halifax for identification. Seaport Farmers Market, North America’s oldest farmer’s market is also only a 5-minute walk away. The market is open every day but the biggest days in terms of stall holders and visitors are on the weekend. It is a brilliant market and I highly recommend you visit. Read my post on Halifax Farmers Market for everything you need to know.